Supreme Court affirmative action cases can be divided into two categories. First are those cases in which race-conscious government action provides a material benefit or preference to members of a minority group (e.g., Adarand and Grutter). Second are those cases where the government takes race-conscious action without causing any concrete disadvantage to non-minorities (e.g., Shaw v. Reno, Parents Involved). Under the Courts current Equal Protection doctrine, both categories of cases are presumptively unconstitutional because they both violate the principle of colorblindness. The colorblindness doctrine is best understood as implicitly holding that non-disadvantaging affirmative action constitutes an expressive harm. This program expands upon the existing scholarship by arguing that functionally, the Court has come to view race-conscious, non-disadvantaging government action as a form of prohibited government speech. In essence, the Court has decided that when the government takes such action, it is sending an unconstitutional message that race still matters in our society. Under the government speech doctrine, however, the government is free to express its own message provided it does not restrict or compel private speech. The fact that members of the Court disagree with this message does not make it unconstitutional. Professor William M. Carter specializes in constitutional law, civil rights, critical race theory, and international human rights law. His articles have been published in respected journals such as the Harvard Civil Rights-Civil Liberties Law Review and the Berkeley Journal of International Law. Professor Carter teaches courses in the areas of civil procedure and civil rights. 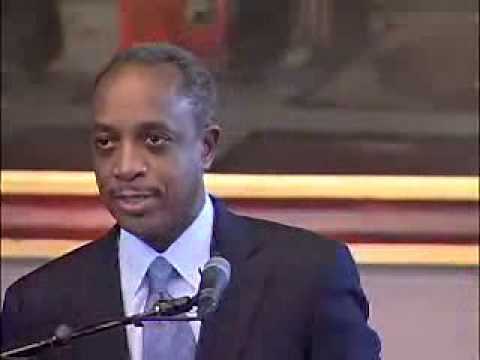 Prior to joining the faculty of the Beasley School of Law at Temple University in 2007, Professor Carter was a Professor of Law at Case Western Reserve University School of Law. Upon graduation from law school, Professor Carter worked as a litigation associate in the Washington, D.C. offices of Squire, Sanders & Dempsey and Ropes & Gray.